As we were going to Old Street for a friend’s party, I decided to book Sunday lunch at Tramshed in Shoreditch for the three of us (Claire, me and our 20 month old son, JW). Parking was extremely difficult, almost as bad as Brighton, but I managed to find a free(!) space a few minutes walk away. Outside, the venue is very unimposing – a simple arch with an entrance either side. Inside was a vast warehouse, with a Damian Hirst installation! The food, with an interesting presentation of the Roast Chicken and free kid’s minute steak, was excellent. The service was good, and the bill was very reasonable indeed. 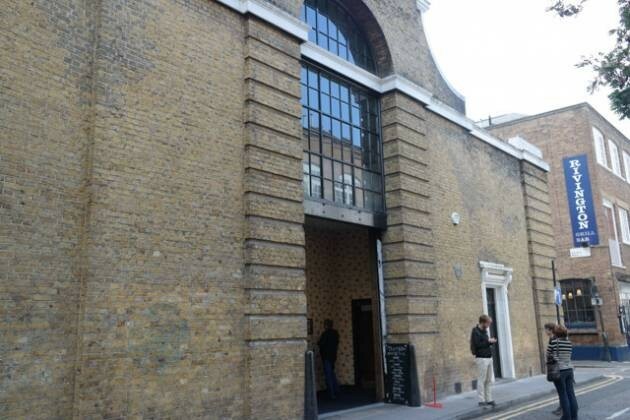 Certainly a Top Rated Award for Tramshed in Shoreditch, East London.